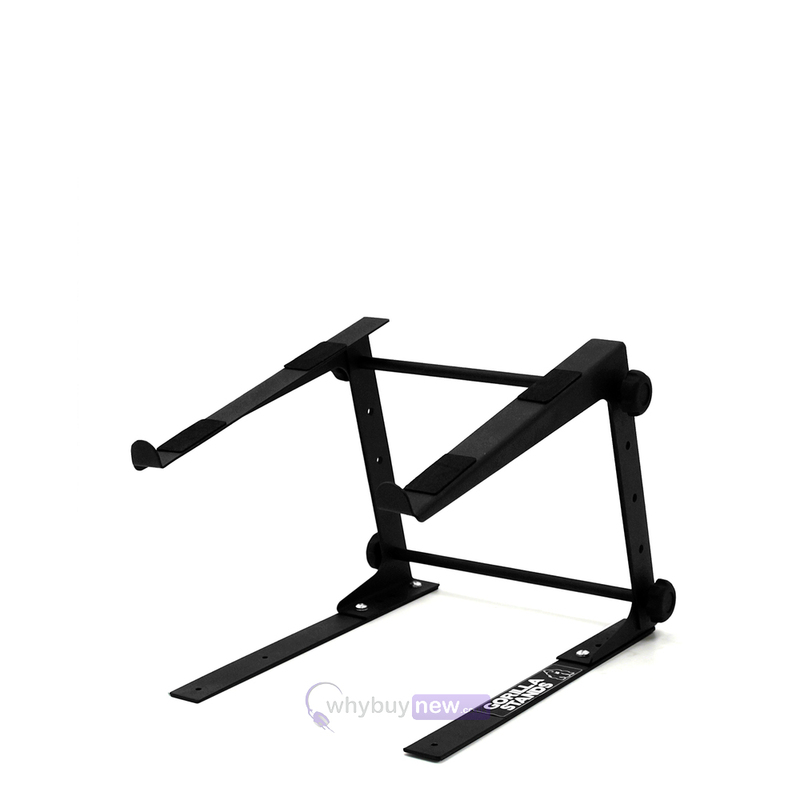 The Gorilla GLS-01 DJ Laptop Stand is by far, the best selling stand on the market and when you see the quality for this bargain price, you will know why. 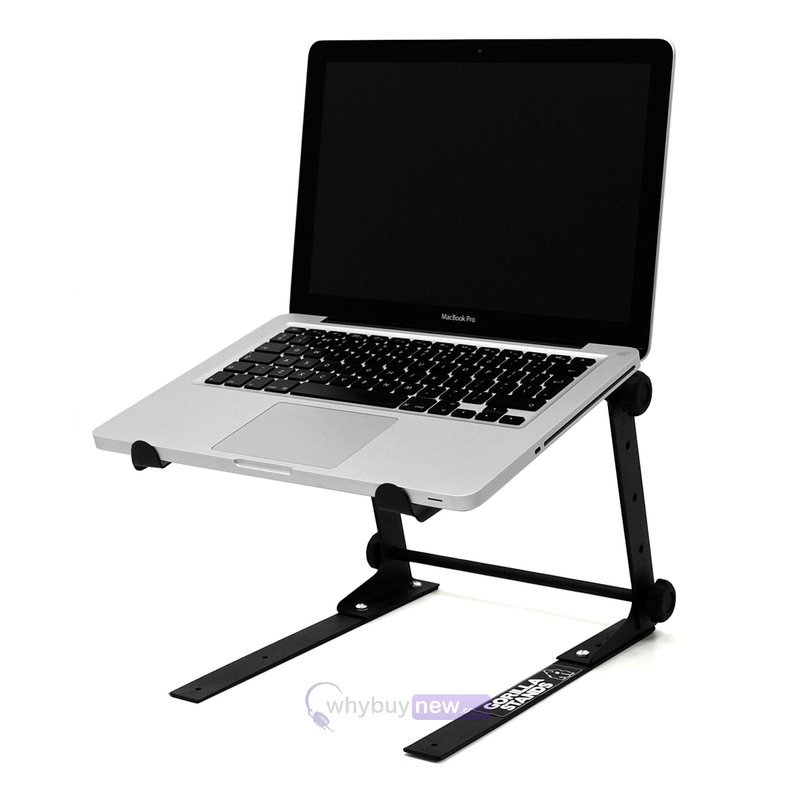 This laptop stand not only has a fantastic build quality, but also has features such as being height and width adjustable and is finished in a cool matt black powder coated finish. The Gorilla GLS-01 certainly is the best value on the market. 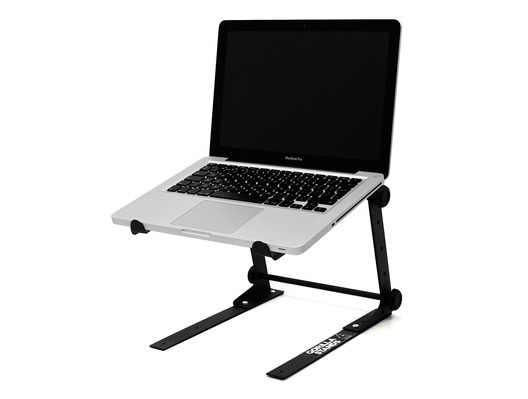 Here we have the Gorilla GLS-01 Height & Width Adjustable Laptop Stand in brand new condition and in B-Stock. The B-Stock versions would have been on display at a training evening or trade exhibition only and will come boxed 'as new' with all accessories and a 1-year warranty. Really good quality stand. Had no problems putting it together. A must have for all DJ's that need to save a little space. Put together easy enough. Packaged really well. Unfortunately does not fold down when assembled. Only real issue is that my laptop Acer Aspire does not have a flat base at the front edge so it could easily come of the stand if the stand is knocked or nudged. It would be nice to have some type of maybe rubber or plastic strip that could slide into the retaining lips on the front of the stand which stop the laptop from sliding forward of the stand top which is at an angle. Make sense, I hope so. Also a great benefit, that I don't think has been mentioned in any other reviews yet, is that it helps keep the laptop cool. When the laptop is placed on a desk or table etc it has very little breathing space, with the Gorilla stand problem solved. No instructions included. However, it is easy to assemble if you follow the tutorials online. Took less than 10 minutes. Sturdy and well built once assembled. Extremely pleased with the purchase. Great Product of High Quality. Perfect service from WhyBuyNew as always. No issues with the assembly. Great product tutorials on Youtube for anyone that does suffer however. I recently bought 2 of these for my mobile disco and can say that once again whybuynew have delivered on time. Stands arrived and I had them both assembled inside 10 minutes, well worth the money thank you. Very useful item. The only downside is that it doesn't come with instructions on how to put it together. However, I just had to look at the image of it on here to see where bits went and managed to put it together in a couple of minutes. Fab piece of kit. Great product, simple to set up. Exactly what I needed to be able to use the laptop all day without getting neck ache! I bought two of these. There are no instructions. [Found instructions vid on youtube] I watched the vid to see how difficult it was to secure the screws. Unlike the vid, i could not assemble the stand, the screws were too big. The second stand assembled in 5 minutes. Really easy. The stand tucks neatly under my keyboard, and with adjustable height sits just right to do recording. Once assembled, It is a bit fiddly to change the height and also it does not fold away. Some extra rubber strips would be useful. With all that said, for the price, this is a really sturdy stand, holds my Mac in place [very important]. The after service was fantastic. I had a replacement stand sent out very quickly. This stand does its job convincingly for home set up and no doubt is strong enough to take on the road. I am a Mobile disco operator in N.Ireland - We use this stand on our Gorilla and ADJ DJ booth's to allow us to see the laptop at eye level and to also save space on our carpeted tables. 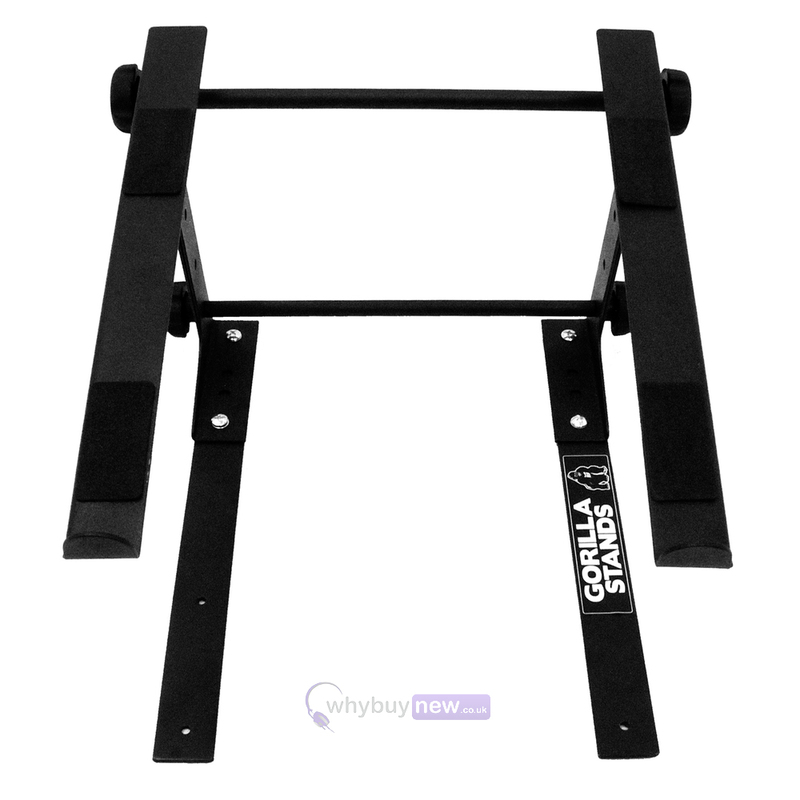 Just like everything gorilla produce - Solid steel , Simple design - Amazing Price. We bolted the stand to our table's - You can adjust height and there is a small adjustment for angle - Buy with confidence. Pefect !!!!! Stable, secure.........lightweight and quickly assembled/disassembled. Have used many, many times and does exactly what it's intended for ! Great buy ! Can't go wrong for the money, easy to put together, flexible so it can be made wider for larger laptops. Only downside is it doesn't fold, but for what you pay you can't complain. 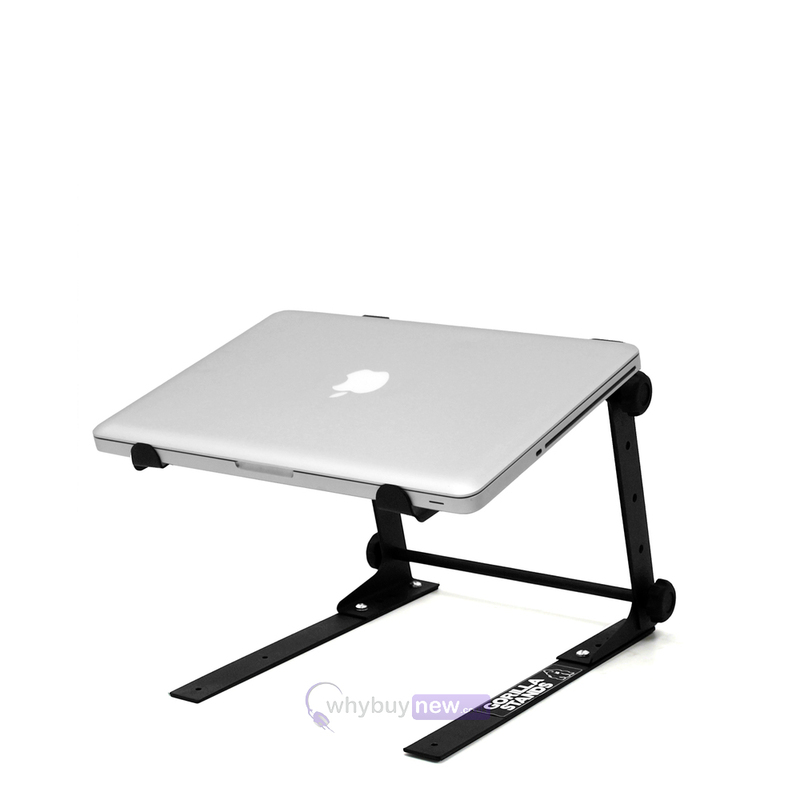 Realy good product, had no problems putting it together and laptop sits nice and safe. My man loves his stand and I had quick,will shop again .